At the end of each season we render our own free-range leaf lard. Leaf lard is the silky smooth lard found around the kidneys and liver. Once rendered the lard keeps for months in our sealed canisters. However, once opened do store in the fridge. It will still last for ages, and you will probably need to remove from the fridge before use, if you need a softer consistency. 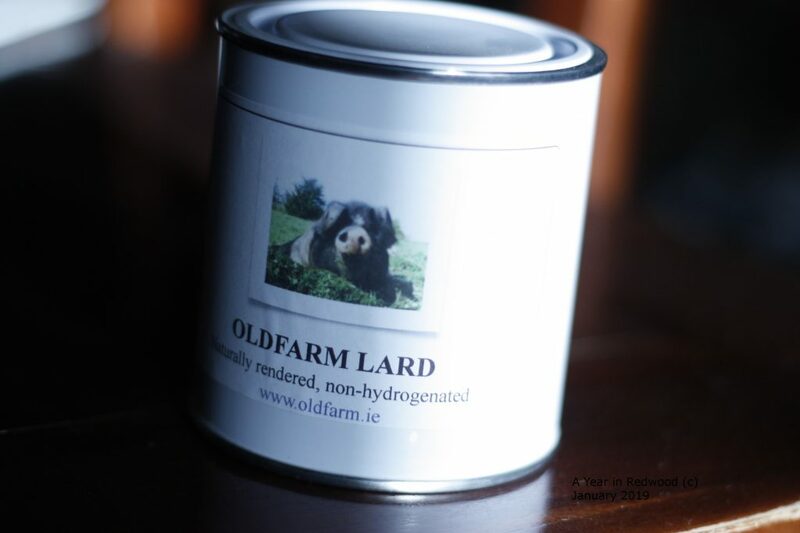 We use lard in many different ways. It makes the crispiest roast potatoes, is also brilliant for cooking your own oven chips. It also makes delicious pastry…. instead of using all butter in your pastry, try making a pastry with 50/50 lard/butter. Each canister holds 500 g of lard.